2nd Legs to be played 16/17 April. Spurs will probably have to play the game at Wembley. UEFA mandates that neither Manchester clubs will be allowed to play their tie in the city on the same week. Since United finished below City their match gets moved. If the first leg is at home, it will be at the New Lane. Suarez can't wait to sink his teeth into Man United and Messi can't wait to Mess them up. Like UEFA would risk such a thing by printing actual team names instead of code names. Pray, tell, how will ManU get past the might of Messi? 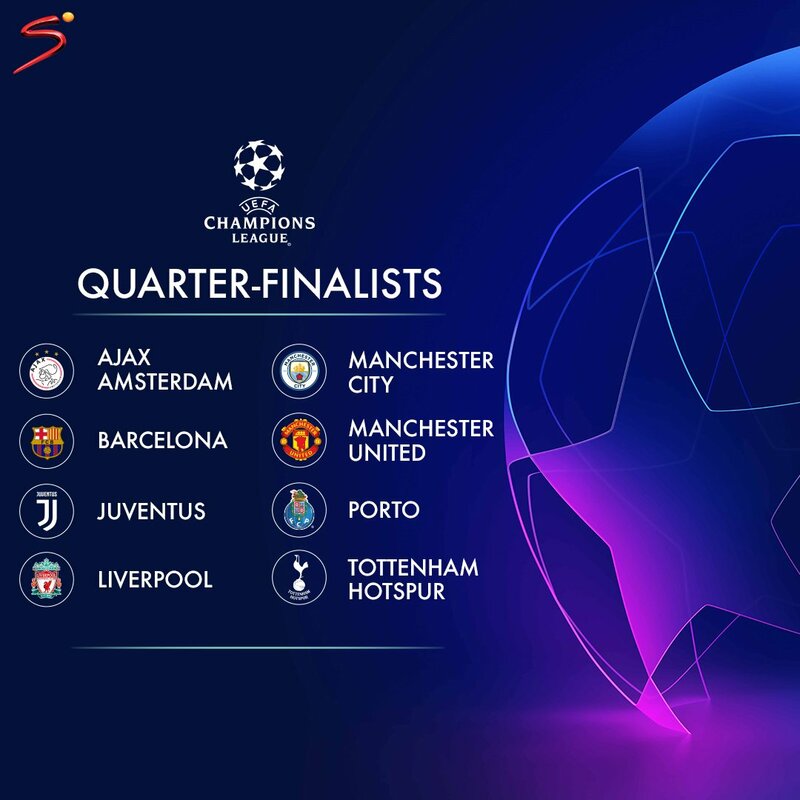 Well, EPL will have 2 teams in the semis. 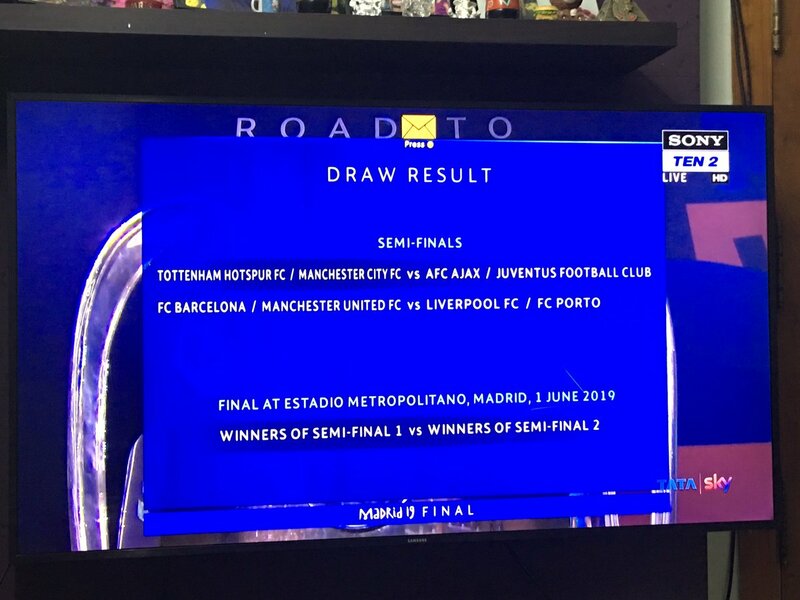 Only a crackhead will pick Man United over Barcelona even on that useless paper you wrote on!